Afridiziak Theatre News founder and editor Sophia Jackson was honoured to be a finalist in the Woman in Media category in the 2013 Precious Awards. Successful women in business and leadership women were celebrated at The 7th Annual PRECIOUS awards on October 24, 2013. The event launched in 2007, shines a light on the entrepreneurial and leadership merits of women of colour in the UK. Awards were given across various industries including health and beauty, media, mentoring services and entertainment. This year’s Entrepreneur of the Year which celebrates the ‘best of the best’ was awarded to Faye Fasan, founder of Chelsea Day Spa. The awards took place in one of London’s most iconic settings: The Waldorf, London. Hosting the event were leading entrepreneur, Jessica Huie, and the official business coach to the British Library, Rasheed Ogunlaru. 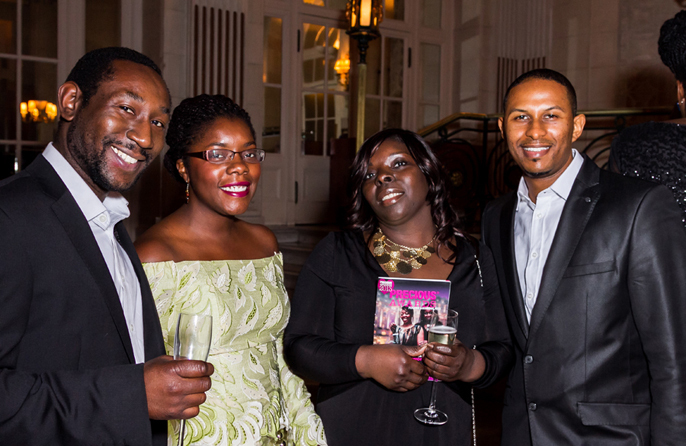 Founder of the PRECIOUS Awards, Foluke Akinlose MBE said: ‘It’s vitally important to applaud the achievements of women of colour and their contribution to UK plc. Our finalists and winners are building strong businesses, creating jobs and opportunities for others and making an impact in industry. Pilar Nalwimba | My Social Media PA | mysocialmediapa.com | @mysocialmediapa.